The way that people acquire information has changed significantly over the years. In the olden days, people would obtain information from the newspaper, radio broadcasts, and television. Unfortunately, these resources only work well locally. But since the rise of the Internet, new and more effective ways of obtaining information has become available. The impact this has had on users’ behaviours is important to consider if you are a small or local business. Small business owners should thoughtfully consider the value of social media, and how having a Facebook business page and ads, as well as networking on the platform can grow your business in ways beyond your imagination. Here are some of the ways that Facebook marketing and advertising can transform your business. Did you know that Facebook allows you to target your ad to a specific geographical location whether it be a small single town or a large city? Just like direct mail, Facebook can help you target the people who would directly benefit from your products or services, and who are close enough to walk or drive to your store. You can also target people who have shown an interest in products related to yours, and match the age and gender necessary to use your products. By choosing the right target audience, you will be able to offer something of value from your product or industry to capture your prospects. Because of the way Facebook is designed, you can develop your very own community. You can do things like post links and content that is relevant and useful to your prospects and customers, create promotional campaigns and contests, and offer incentives. By doing this you can develop a loyal community of interested customers and fans for your Facebook business. The Facebook platform offers many benefits to small and local businesses. Facebook uses metrics like impressions, reach, likes, shares, comments, frequency, click through rate, and page likes to measure and analyze the audience engagement with your ads. Customers can react to your ads in various ways, and data is collected for you. 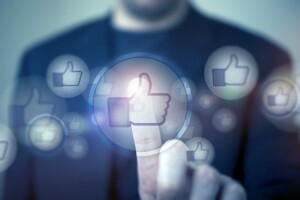 The opportunity for customers to like, comment, and share your ads or posts creates brand awareness because their shared posts are visible to all of their Facebook contacts. Starting a Facebook business page comes at absolutely no cost. You can hire a graphic artist to design your profile picture and cover photo, but it is not a necessity if you can do this yourself. Everything you benefit from the page is completely free, until you choose to pay for ads to receive likes on your page, or if you want to boost posts and run sponsored stories. Compared to traditional print, radio, or television ads, Facebook ads are relatively inexpensive and are 1,000 times more targeted. You can keep costs especially low if you target your ads to people interested in your page’s topic. If you want to learn how social media can improve your marketing strategy, it is a good idea to speak with professionals. 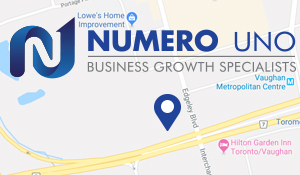 Numero Uno provides clients with many marketing solutions such as social media optimization services (SMO), content audit services, online reputation management, web designing and development, and more. We are a content marketing agency in Toronto that specializes in helping small- to medium-sized businesses improve their web sites. We have helped our clients across the Greater Toronto Area, Texas, Massachusetts, and Florida boost their marketing strategies and grow their businesses. Call us at 1-855-SEO-XPRT to learn more about the services and expertise we provide.